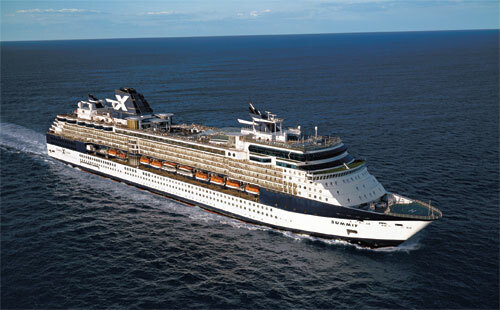 Experience the best cruising has to offer onboard the beautiful Celebrity Summit. 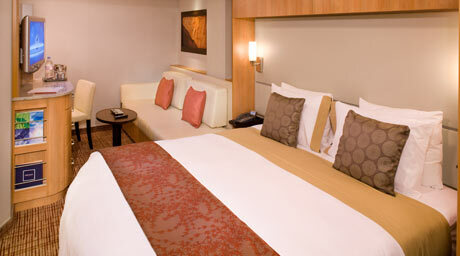 Conveniently cruising roundtrip from Cape Liberty, New Jersey near the New York metropolitan area. You will have the opportunity to sail the Atlantic Ocean in style, and explore King's Wharf, and the beautiful island of Bermuda. 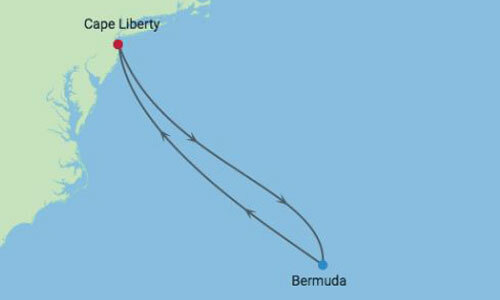 Cape Liberty Cruise Port is located on the New York Harbor in Bayonne, New Jersey, and is just seven miles from New York City and three miles from Newark Liberty International Airport. As a symbol of democracy and freedom, the Statue of Liberty is recognized around the world and is synonymous with the United States. 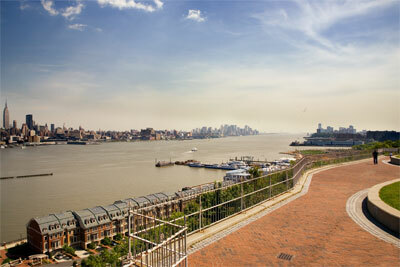 You can reach Liberty Island by ferry, departing from Jersey City, New Jersey. Take a tour of Ellis Island and the Ellis Island Immigration Museum. 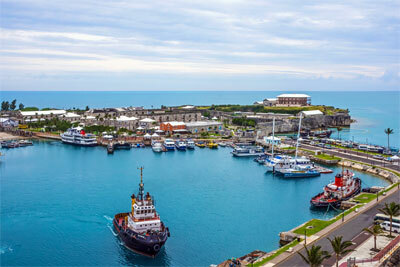 Although it sounds just like a port area, the King's Wharf area or the Royal Naval Dockyard in Bermuda spans across a land area of about 24 acres and has become a tourist hot spot by itself. Mainly due to the large influx of cruise ship passengers, the area has developed into a place with many tourist attractions including museums, historic buildings, art & craft centers, beaches, theaters and bustling with activities such as land & water tours, water sports, and many other activities. And of course, there are plenty of shopping and restaurants to compliment the experience. You can easily plan a full day to go around the attractions in the dockyard area itself and also indulge in some of the great recreational activities and tours that take place from the dockyard. You can either take leisure walk to visit the attractions, or alternatively take the free train trolley ride which completes a full circuit within the dockyard several times a day starting near the cruise berths and stopping at important landmarks. 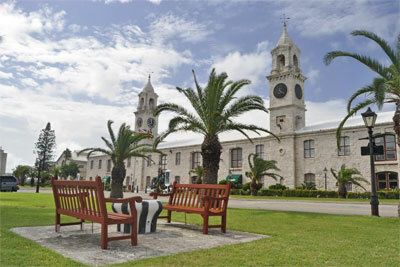 There are a number of things to see and do in Bermuda. Spend the day having fun swimming with dolphins in their ocean water safe haven. There are several great beaches located in an around the dockyard. 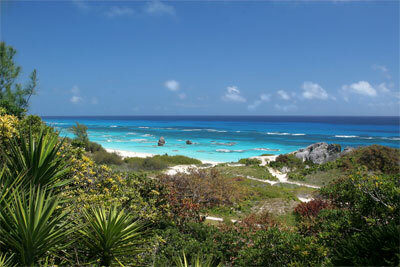 While some are within walking distance (like Snorkel Park Beach and Black Bay Beach), others including the famous pink south shore beaches such as Horseshoe Bay Beach, and Warwick Long Bay can be reached easily by public bus, scooter, or beach shuttles. The Celebrity Summit reached the peak of modern luxury with a grand makeover in March 2016. Make the most of your vacation time and continue your health, fitness and wellness routine while on board. You're invited to indulge your mind, body and spirit in the state-of-the-art fitness facilities with soaring floor-to-ceiling windows. Experience the profound pleasures of the spectacular spa setting with luxurious services and enlightening presentations designed to restore your serenity and leave you feeling fantastic. Our first Rooftop Terrace provides a chic new way to experience the great outdoors with creative cocktails, favorite snacks, and movies alfresco. Craving Italian? Tuscan Grille serves up fresh pasta and succulent dry-aged steaks. Enjoy an unordinary dinner at the innovative Qsine®, then top off the night with a chilled Peartini at the ice-topped Martini Bar. The Penthouse and Royal suites have limmering new marble touches, elegant fixtures, plush seating, and more. Celebrity Summit has the privilege of being captained by first American woman to command a cruise ship, Captain Kate McCue. For those with mobility issues and other disabilities, our attentive crew is always on hand to take the hassle out of getting on and off the ship. 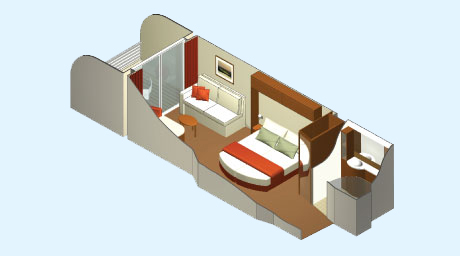 Our accessible staterooms are designed with wider doors, roll-in showers, grab bars, and other special features for guests with mobility issues and other disabilities. 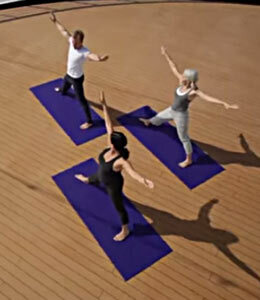 Bring your workout routine along for your modern luxury cruise. Summit fitness facilities feature a jogging track, sport court, and a full suite of state-of-the-art cardio, core, and weight training equipment for every fitness level. Get shipshape and enjoy beautiful ocean panoramas through the fitness center's floor-to-ceiling windows. Equipment includes treadmills, rowing machines, stair climbers, recumbent bikes, elliptical, cross trainers, and free weights. Join one of many daily group fitness classes, or have a personal consultation with a wellness professional on exercise, diet and lifestyle. After your session, relax and rejuvenate in the sauna or Solarium pool. Qsine is a uniquely unordinary experience with elements of surprise and delight. 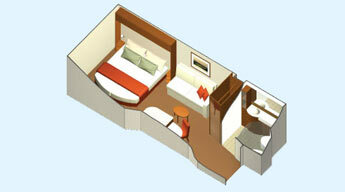 The concept behind Qsine was to give you something you’ve never experienced before on land or sea. Leave any preconceived notions behind. Dig in and try new things. It’s time your palate got a wakeup call. iPad® menus are fun, interactive, and full of surprises. Sushi restaurants. Wildly popular from the day it appeared, Sushi on Five satisfies your craving for locally sourced, authentically prepared sushi and other Japanese specialties from a menu crafted by expert restaurateur and sushi chef, Yoshikazu "Yoshi" Okada. Treat yourself to the complex flavors of a hand-made sushi roll or nigiri featuring tuna albacore, shrimp, eel, and other fresh selections, or savor the simplicity of yellowtail, salmon, and octopus sashimi. Your culinary experience would be incomplete without dessert—be sure to try the caramelized gingerbread with wasabi gelato. Fresh, spa-inspired delights to nourish body and mind. A creative take on healthy cuisine, featuring an eclectic blend of offerings that are both flavorful and good for you. 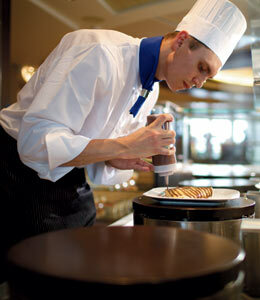 Our crew of chefs continually raise the bar for culinary experiences, both at sea and beyond. Enjoy freshly prepared smoothies, juices & good for you treats. Intimately elegant, yet fresh and modern. 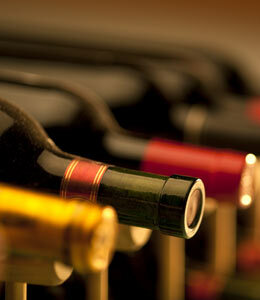 Clean, crisp flavors and inventive cuisine meet an extensive list of sustainable and biodynamic wines. Personalized service, inviting surroundings, and natural light are all part of the fresh and bold aesthetic of Blu. The spa-inspired cuisine at Blu is an imaginative way of preparing popular dishes without fussiness or pretense. 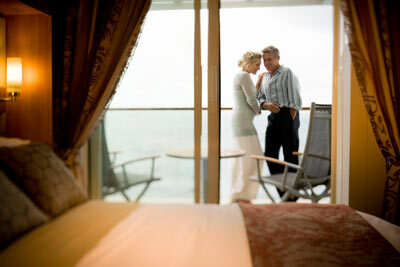 Enjoy both indoor and outdoor spaces with a Balcony Stateroom. Relax in the spacious sitting area or step outside to linger over morning coffee or marvel at evening sunsets. Certified Registered Nurse Anesthetists: This program has been prior approved by the AANA for 20 Class A CEC; AANA Code #1036617; Expiration Date 7/20/2019. $100 between May 15, 2019 and June 14, 2019. No refund after June 14, 2019; however, 50% of tuition paid may be applied toward tuition for another NWS program within 12 months. Cancellation must be in writing.